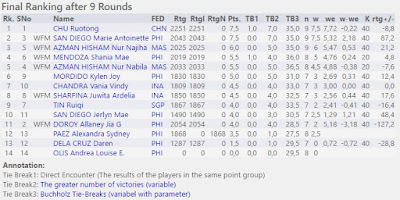 The East Asia Juniors and Girls Chess Championship has just been concluded yesterday. The championship which started on 26th May 2017 was held in Tagaytay City, Philippines. 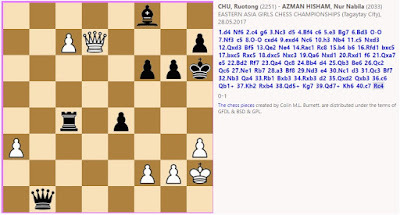 This maiden championship is open to all young chess players from East Asia countries namely Brunei, Cambodia, China, Chinese Taipei, Hong Kong, Indonesia, Japan, Korea, Laos, Macau, Malaysia, Mongolia, Myanmar, Philippines, Singapore, Thailand, Timor Leste and Vietnam. Malaysia were represented by FM Aron Teh Eu Wen, Bernard Chan Shen Liang in the Juniors category and the Azman Hisham sisters - WFM Nur Nabila and WFM Nur Najiha. 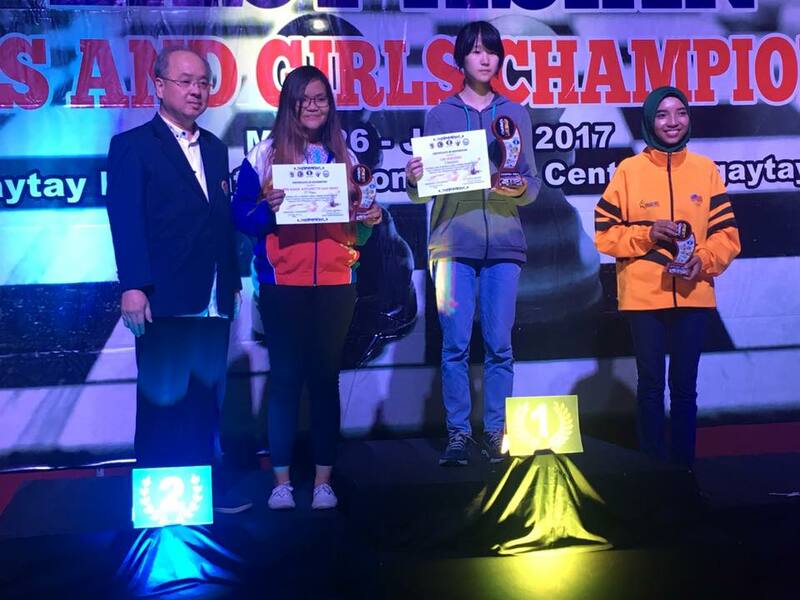 Nur Najiha has emerged as the Bronze medalist in the Girls event after scoring 6/9 points. With this feat, Najiha has earned a WIM norm. 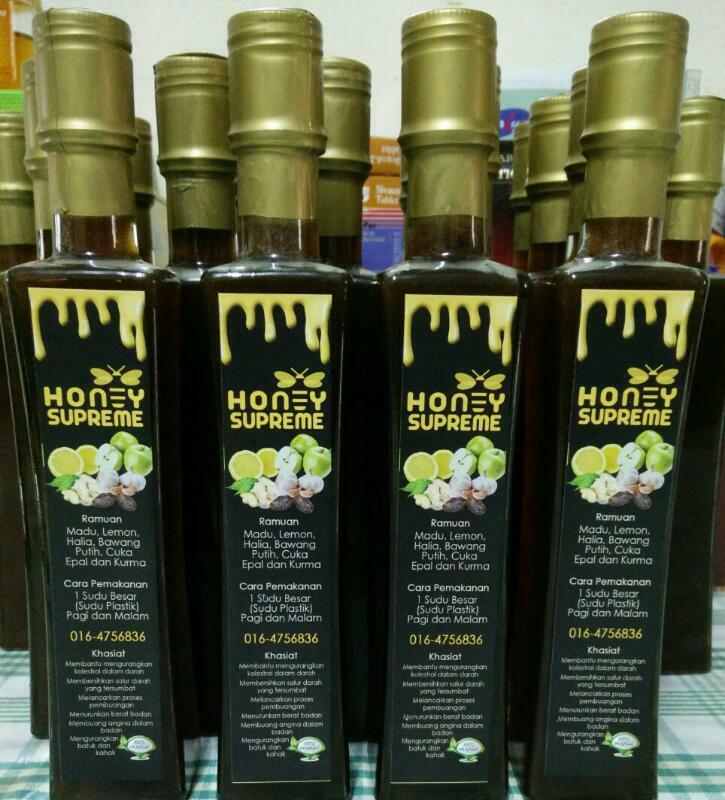 Syabas and Bravo to her. 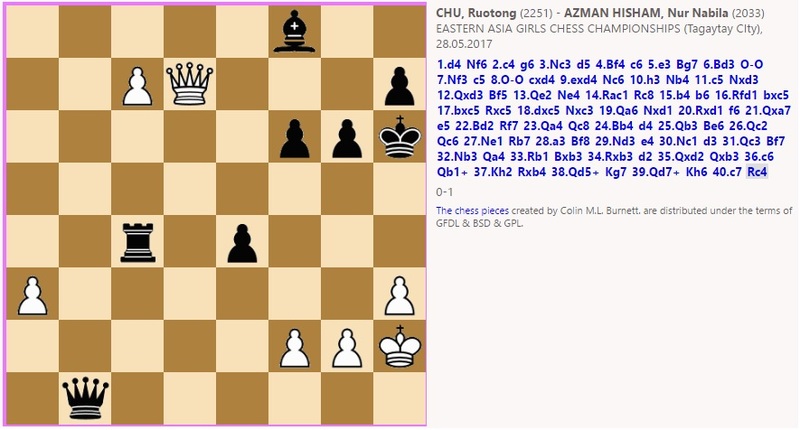 The top seed, Chu Ruotong from China has emerged as the champion and Gold medalist after scoring 7.5/9 points. Her only defeat is to our Nur Nabila in the second round. The Silver medalist went to Filipino player named Marie Antoinette San Diego. 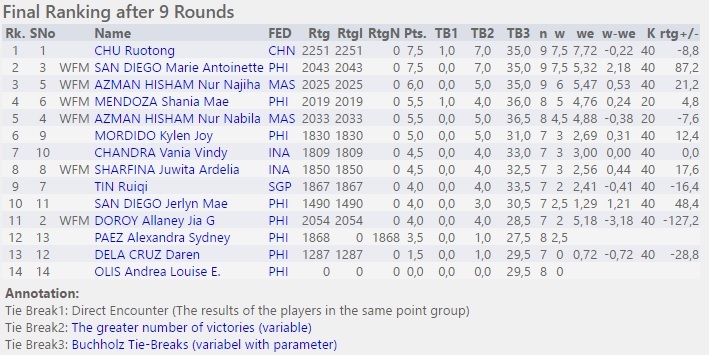 Even though she shares the same point of 7.5/9 with Chu Ruotong, but due to first tie break which is the results of the players in the same point group Marie becomes the First Runner Up. 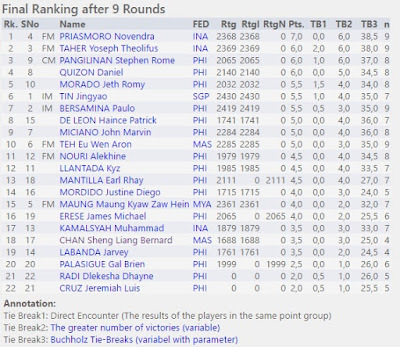 In the Juniors event, the Indonesian chess players dominate the Top Two positions. 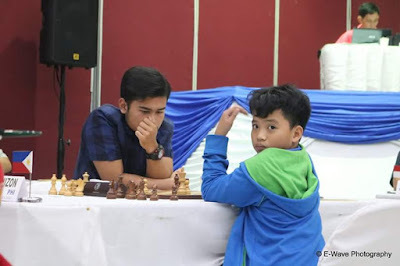 The Gold medalist is won by FM Novendra Priasmoro who is ranked fourth in the championship. He scored 7/9 points from 6 wins, 2 draws and one loss. 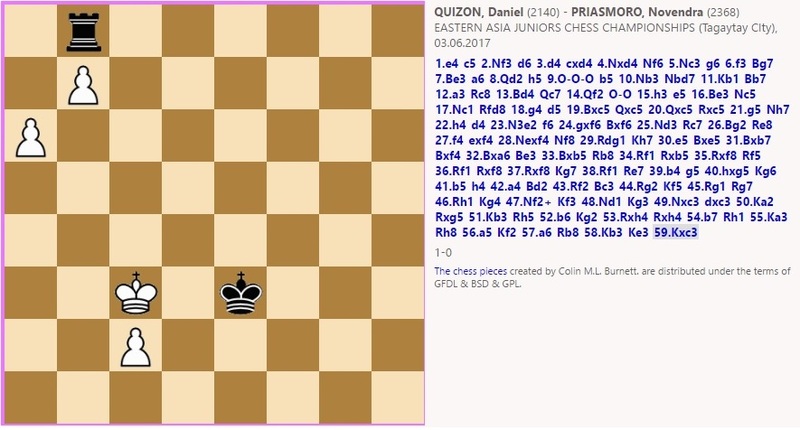 His only loss in the eight round was to a young talented Filipino player named Daniel Quizon. There are three players that share the same point of 6/9 for the second placing. They are Indonesian Yoseph Theolifus Taher, Filipino Stephen Rome Pangilinan and Daniel Quizon. 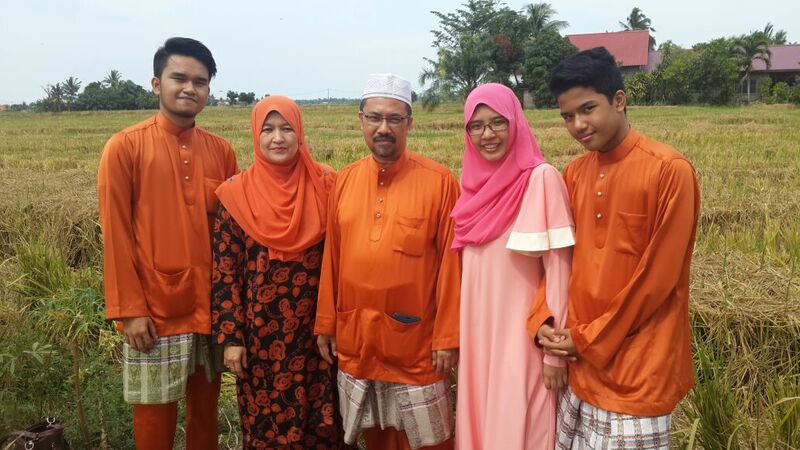 GiLoCatur is very familiar with Stephen Pangilinan who is about Fahim's age. 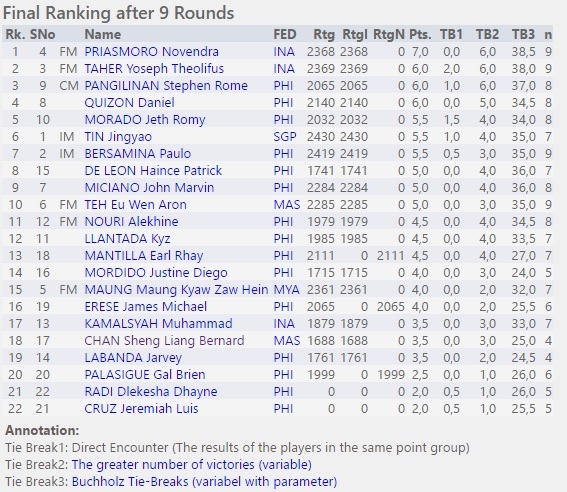 GiLoCatur have noticed about this young Filipino talented chess player at AAG 2012 (Hue, Vietnam) and AAG 2014 (Macao). 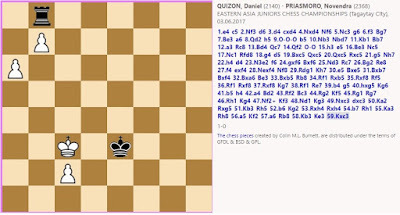 Furthermore, the name is very unique to GiLoCatur. The name reminds GiLoCatur of Alex Pagulayan, an established pool player.